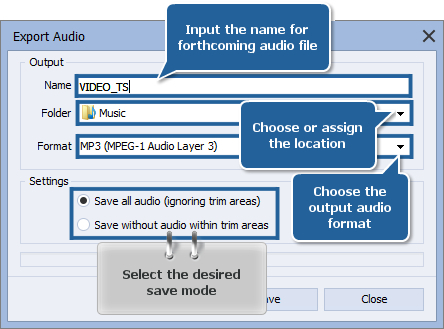 Sometimes you might need to extract audio from a home video of yours to be able to listen to it using your audio player - a portable MP3 player, for instance. 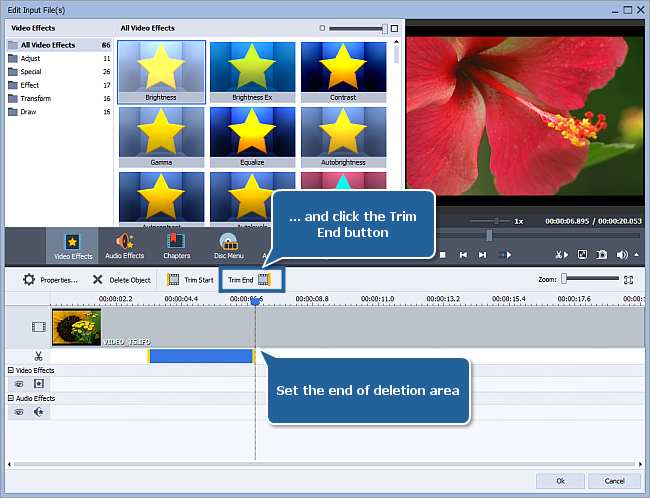 That can be quite easy if you use our AVS Video Converter. Follow the steps below to learn how to do that. 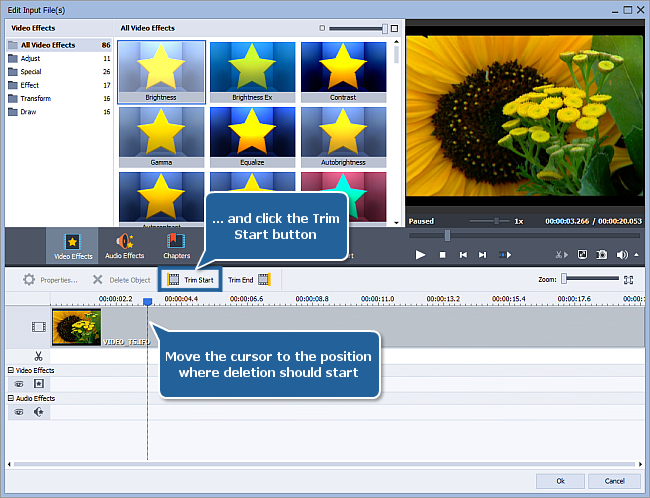 Quite often DVDs and even .avi files contain several audio tracks. That's why you should select the necessary one prior to extraction. 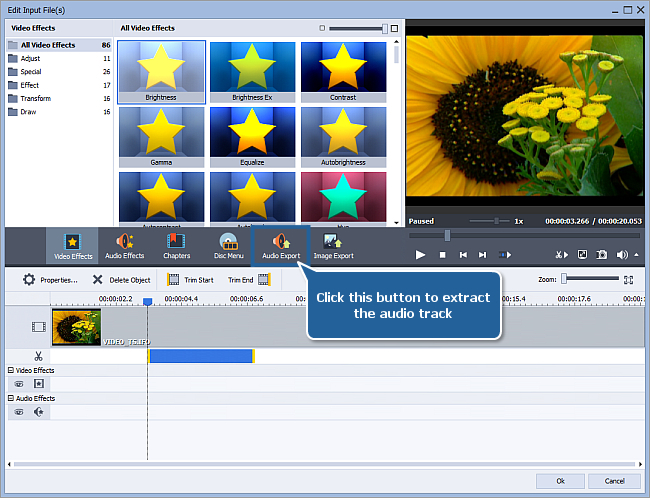 This window can be used not only to extract audio but also to select which part of the audio track exactly you will extract. Here you can use the Start Time and End Time fields to enter the exact position for the deletion area. Click Done when ready. The other deletion areas (in case you need them) are set the same way. 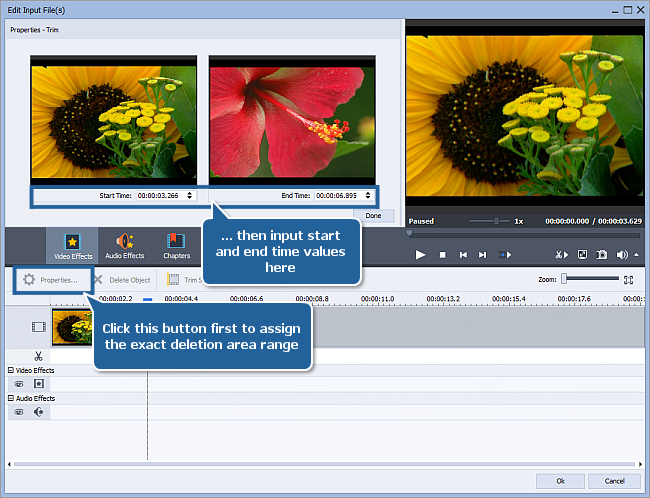 Now that the necessary adjustments are made, you can start audio track extraction. Click the Audio Export central button represented on the left. To start extracting press the Save button. 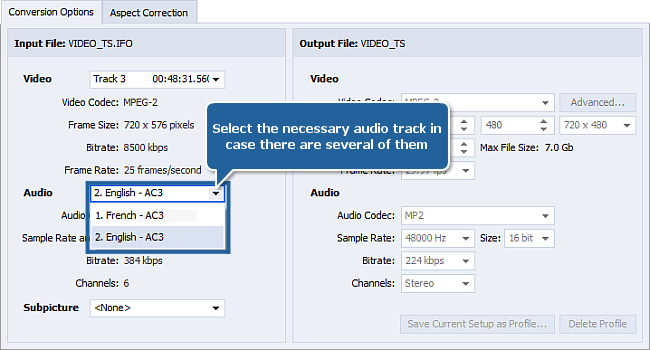 The process will take some time depending on the output audio length and your computer performance. When extraction is over, find your audio in the destination folder and play it using your favorite audio player.